Learning how to decline an interview with thoughtfulness and tact, while still maintaining your stellar professional reputation is an important skill to hone. Understanding what works for you, and what your goals are can help you better weigh your options when you’re presented with an invitation. This guide will help you learn how to decline an interview with diplomacy and graciousness. Job hunts can be unnerving, even discouraging at times. But you should never take on a position that makes you feel uncomfortable, or is not within your scope of skills. If you receive an invitation to interview, do your research on the company first. Read up on the values of the organization, or talk to professionals in your network who were previously employed by this organization. Weigh your options with the company before deciding to decline an interview. The terms of the offer are not up to scratch. Perhaps what the job offers is not up to scratch with what you are looking for, or what you feel you deserve. If they’re low-balling you on the salary, or proposing a paid time off policy that you disagree with, or even offering you a title that doesn’t satisfy you, it’s best to walk away now. Trying to negotiate further or accepting an offer that doesn’t feel right will only aggravate you in the future. The job is not a good fit for you. You may find yourself overqualified for the position they’re trying to fill, or maybe your skills are not up to par. Maybe the commute is long and doesn’t fit the lifestyle you’d like to have, or the job requires too much travel. If you find yourself trying to reconfigure your life just for a job that you don’t feel comfortable with, then you shouldn’t move forward. You don’t feel comfortable with the corporate culture. The internet is a beautiful place, rich in content and resources on just about anything. If you’ve done a bit of research on the organization or company, and don’t agree with their values, their mission and vision, then you should try to interview with a company that is more aligned with your goals. Reviews about the employer are poor. If you know someone employed at this organization and they absolutely loathe their job, it’s could very well be their own fault, but it’s most likely the fault of the employer. An employee is only as good and as happy as their manager. You’ve accepted an offer elsewhere. Lucky you, you’re about to embark on a brand new journey! But be careful not to burn any bridges, and politely let your other potential employers know about your decision. You never know who you may need in the future. Regardless of the reason you’d like to turn down the invitation to interview, just have a quick think about this: not everything is what it seems. Before declining the interview, consider having a glimpse into their world by giving the employer a chance to wow you, all the while, practicing your best interview answers and questions. If you have the time for it, it will only make you a better interviewee, and a more alluring candidate to the employer that is the right fit for you. Be tactful and polite. Like most things in life, being polite usually goes a long way, even in this case when you need to know how to decline an interview. You never know where the future may bring you, and therefore you should never tell a lie, nor burn your bridges. If you make a poor impression on this employer now, you could be kicking yourself for it later, when they are offering opportunities that are the perfect fit for you to someone else. Confirm your gratitude. Always thank the employer for the invitation to interview with them. Let them know that you appreciate how they found your resume remarkable. 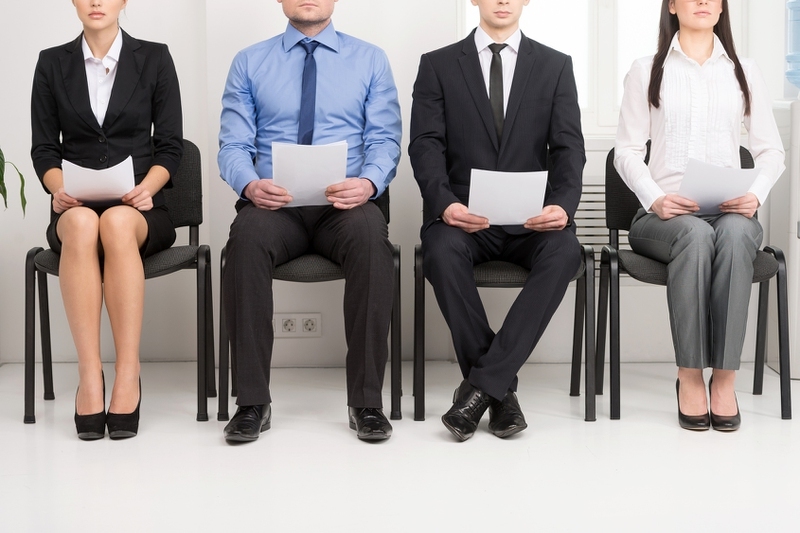 It’s up to you to give a reason for declining the interview, but be brief in your statement. If you’re turning down the interview simply because you’ve learned some negative information about the company, there is no reason to disclose that here. Suggest another candidate. There may be someone else in your professional network that would be a great fit for the position, contact them to see if they’d be interested in a referral from you. You’d be a star in the eyes of the employer, while at the same time helping out a friend. Follow up. Some of the best practices are in the follow up, so make sure you do so if you are really want to know how to decline an interview. If your e-mail doesn’t get a response, you can make a follow up phone call to make sure the message was received. There are a couple of ways to decline an interview professionally, so choose what you’re comfortable with. In this day and age, faxes are incredibly antiquated, as is post mail. Unless the recruiter specifies their preference of these methods, it’s best to steer clear. Be brief, but never rude. Here’s a short example of the kind of message you should send to decline an interview. I am writing to sincerely express my appreciation for the invitation to interview for the Senior Project Manager position, and for the opportunity to learn more about your company. However, I regret that I must decline, as I have already accepted an offer elsewhere. Perhaps we will have a chance to work together in the future. Please kindly confirm receipt of this message. This method of declining an interview is a bit more effective for you and the recruiter, speaking on the phone personally shows that you really appreciate the invitation, and you respect their time. You can truly express your regrets and give an explanation on why you’re choosing to decline the interview. Keep in mind the same principles as above; be diplomatic, gracious, and polite. It’s best to phone at time when the interviewer would have a moment for a brief phone conversation, and that is likely to be mid-morning, or early afternoon on Tuesday, Wednesday, or Thursday. If the recruiter is unavailable, leave a message for a call back and do not decline the interview on a voicemail.